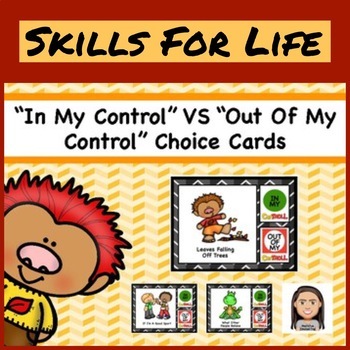 Help teach children what choices are in and out of their control. When we try to control things, we can not control, we often feel overwhelmed with emotions such as anger and anxiety. By understanding what they are in control of helps kids manage their emotions and make better choices, by allowing them to focus their efforts on things they can control. It also increases their self esteem by allowing them to believe that their choices have meaning and can make a difference.